Our cast-on events in the past club years were tremendous fun, so we decided to make them a tradition and invite all Club Members of Strickmich! 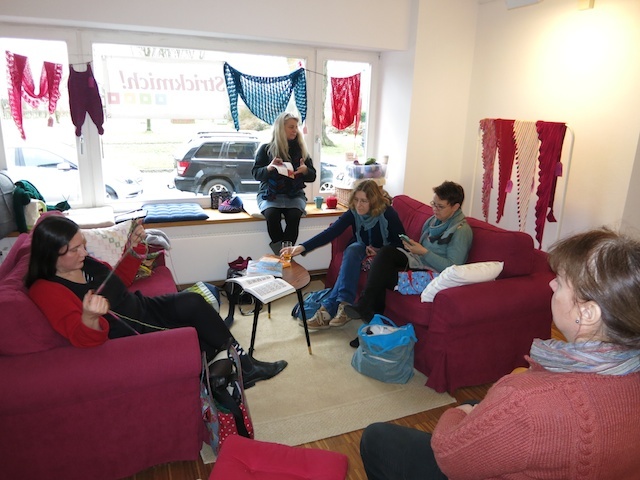 Club 2019 to come to Damsdorf for a great day of knitting, home made cakes, tea and coffee. We will be opening the package together with Club members who want to make their way to Damsdorf in Schleswig-Holstein, Germany. Martina will reveal her new design live on stage, answer questions and teach special techniques the pattern uses. Pack your needles, swifts and winders, it will be awesome! 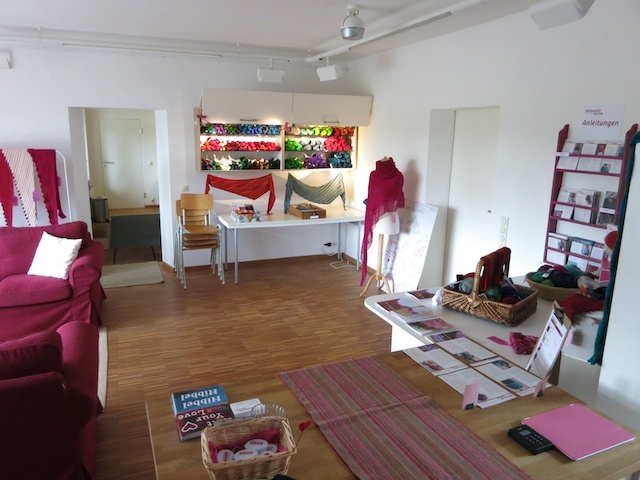 The Cast-On-Events will take place in 23824 Damsdorf, Germany – all will start on a Saturday at 12 noon, last until 2 pm, and right after that we will host an “Open Studio” Knitting Event where Non-Members are also welcome. The Cast-on-Events are open for all Club members. The „Abholer“ members will get their package at the event (covered in a neutral package in order to preserve the surprise). For all other Club members, we will send the packages shortly before the event and the un-opened package is the entry ticket to the event. (We will be very strict, so no peaking). The „Anstrick-Event“ is only open to our Club members. Accompanying friends, family or drivers can enjoy a cup of coffee and homemade cake in our Garden Room while the Cast-on Event takes place. The rules for „Abholer“/pick-up members (please see the shipping information section as well) If you have signed up for a „Abholer“ membership but are unable to attend an event, we can send your package to you after the alternate pick-up date. We will charge you with re-packaging and handling cost of 9 Euro for German addresses (15 Euro international). The events will take place in 23824 Damsdorf in Schleswig-Holstein, in the very north of Germany, located between Hamburg and Kiel. It can easily be reached using Autobahn 21, exit Trappenkamp. Our small village unfortunately has no lodging or shopping itself but there is a good infrastructure around, as we are next to a popular tourist area called „Holsteinische Schweiz“ where you can find nice small hotels and cozy B&Bs. We especially recommend “Gasthof Voss” in nearby Schmalensee, they have neat and clean small appartments, some overlooking the beautiful lake, and the hosts are just the best. Book by phone: +49 4323-6304. Make sure to call a week before you arrive to re-confirm your reservation. Our guests have also recommended the “Hotel zum Alten Bahnhof” in Blunk.